The best way to tour the Garden Island is undoubtedly by rental car. The island’s scenic rural roads, rugged coastlines and fabulous vistas are not to be missed. And even on sleepy Kaua‘i you can rent a sporty convertible, exotic car or, with the appropriate license, a Harley. Riding the Bus: If a more relaxed holiday appeals to you, Kaua‘i’s bus system offers a fixed route schedule, as well as a door-to-door paratransit service. Note that the system does not provide service to the airport, and scheduled runs to Koloa/Po‘ipu are limited. 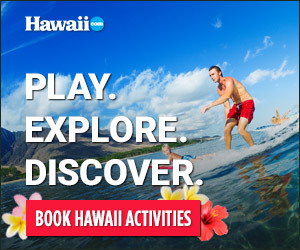 For route schedules and detailed information, call (808) 241-6410. Lihu‘e Airport, about 1.5 miles east of Lihue on the southeast coast of the island of Kaua‘i, provides passenger and aircraft facilities for domestic overseas carriers, interisland carriers, commuter/air taxi, air cargo, and general aviation activities. Though Lihu‘e Airport accommodates some direct flights from the U.S. mainland, most flights into Kauai originate as interisland flights from Oahu’s Honolulu International Airport and other smaller airports in the Islands.